To ensure the best quality and freshness, our gourmet products are made fresh to order. We generally ship same day for orders received before 2pm Eastern Time (Mon-Sat) or the following business day for orders received after 2pm Eastern Time, on Sundays or holidays. You will be notified using the email you registered, when your purchase has been shipped. Do not count the day it ships, Sundays or holidays as the first day. 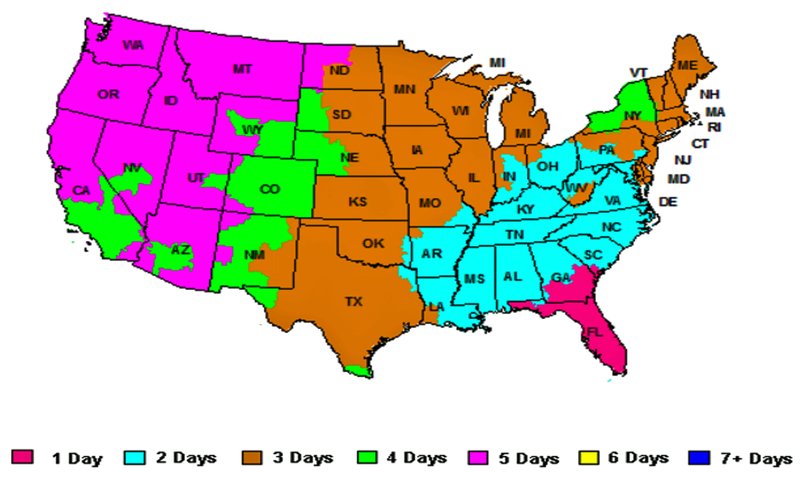 FedEx Express offers Saturday delivery options to most metropolitan postal codes. Please visit www.FedEx.com for details specific to your "ship to" location. Fed Ex business delivers Monday to Friday. It’s generally cheaper to send to a business address. We have chosen to partner with FedEx for shipping because of their proven service track record providing convenient delivery options our customers value. We will make every effort to meet special delivery dates, upon request, however, since we are bound by their delivery commitments and options as well as the unforeseen affects of weather, transportation delays, or other conditions beyond our control, Popcorn Junkie is unable to guarantee delivery dates. Please take this into consideration when planning and ordering. FEDEX is a trademark of Federal Express Corporation and is not affiliated with Popcorn Junkie, LLC.